NASA – Len Bilén's blog, a blog about faith, politics and the environment. With Obama gone, it’s time for NASA to return to science and space exploration, a Limerick. forget all that Climate Change chase. Explore God’s creation – and grace! 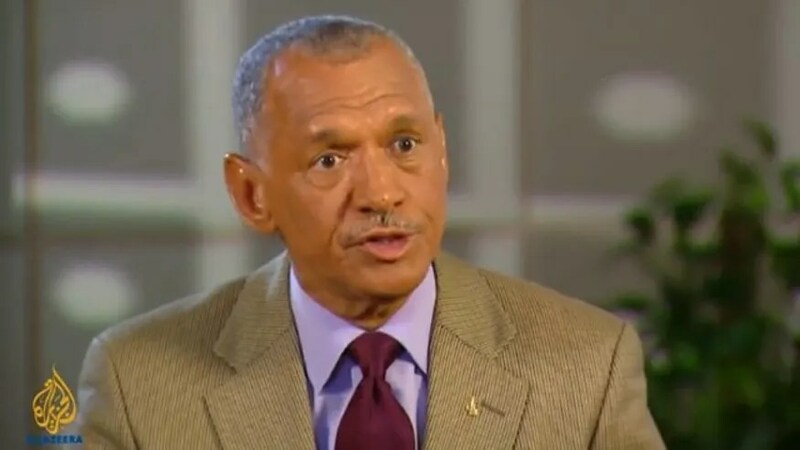 In July 2010 NASA Administrator Charles Bolden said in an interview that his “foremost” mission as the head of America’s space exploration agency is to improve relations with the Muslim world. NASA has not been the same since. Let us turn back to the original mission for NASA, to forward science and understanding of God’s universe through space exploration! Posted on January 20, 2017 Categories Christian, climate, CO2, environment, faith, limerick, Muslim, Obama, Politics, scienceTags Charles Bolden, Climate change, environment, Limericks, NASA, Obama, politics, science, spaceLeave a comment on With Obama gone, it’s time for NASA to return to science and space exploration, a Limerick. This August was the warmest on record, so says NASA. Or was it the 9th warmest? On September 15 a news release was issued by NASA and confirmed by NOAA that August was the warmest August on record. It showed how the data was taken that led to the sudden rise in global temperatures. We can clearly see the warmer and colder areas, with the read areas (warmer) totally dominating the blue (colder) areas. However, in this data set, the temperatures in the polar regions are not included, hence conclusions are drawn from incomplete data. When these areas are included August 2014 was not the warmest August on record, It wad the ninth warmest August and the 89th warmest month on record. These ate the tabulated data from NASA. Divide by 100 to get changes in degrees Celsius (deg-C). Multiply that result by 1.8(=9/5) to get changes in degrees Fahrenheit (deg-F). The September 15 release was done by the political arm of NASA, and was timed for maximum impact on the United Nations Climate Summit one week later. The final Aug Data was never taken into consideration even though it was available. They did not want to release it was the ninth warmest August ever. For good measure NOAA released it was the warmest summer ever. In reality it was maybe the seventh warmest summer ever. Do NASA and NOAA lie wilfully? No, they just want to release selected data in such a way as to safeguard future funding. On September 23 or so President Obama will address the United Nations' Climate Summit and proclaim "This August was the warmest August ever" or words to that effect, pointing to the NOAA and NASA press releases. Posted on September 21, 2014 Categories climate, environment, Obama, politicsTags Climate change, Global Warming, NASA, NOAA, Obama, politics1 Comment on This August was the warmest on record, so says NASA. Or was it the 9th warmest? Eighth day in a row for absolute ice records in Antarctica!! 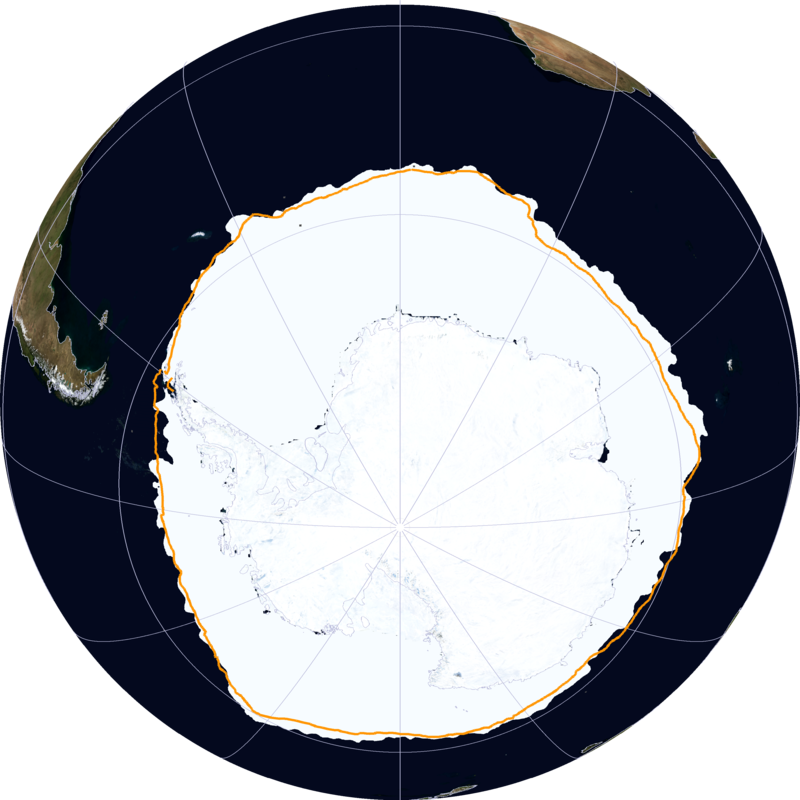 The Antarctic sea ice now covers an area that is larger than United States and Canada combined, or more than twice the size of Europe..
Another way to look at the ice cover size is, if the landmass of Antarctica is included, the ice cover is larger than Asia. The amount of ice over last years absolute record is larger in area than the country of Spain. Notice the ice extent goes all the way up to the 55th latitude, where a change in the albedo from the ice has a substantial cooling effect since a large portion of the sunlight gets reflected rather than absorbed. At the 55th latitude the sun is now 35 degrees above the horizon. The sun in the Arctic by contrast is now only 10 degrees above the horizon at the 80th latitude, so the effect of the Arctic ice is much less important. This will probably not be mentioned at the United Nations’ Summit on Climate Change September 23 in N.Y. Instead President Obama will say something like “warmest August on record”, referencing a press release from NASA, confirmed by NOAA. These were preliminary figures excluding the polar regions, but when they are included, according to NASA’s own data http://data.giss.nasa.gov/gistemp/tabledata_v3/GLB.Ts.txt it was the eighth warmest August, and the 89th warmest month overall. This highlights the importance of the polar regions to be included when calculating the earth’s temperature and energy balance. Here are the 30 highest values in square kilometers since satellite records begun. 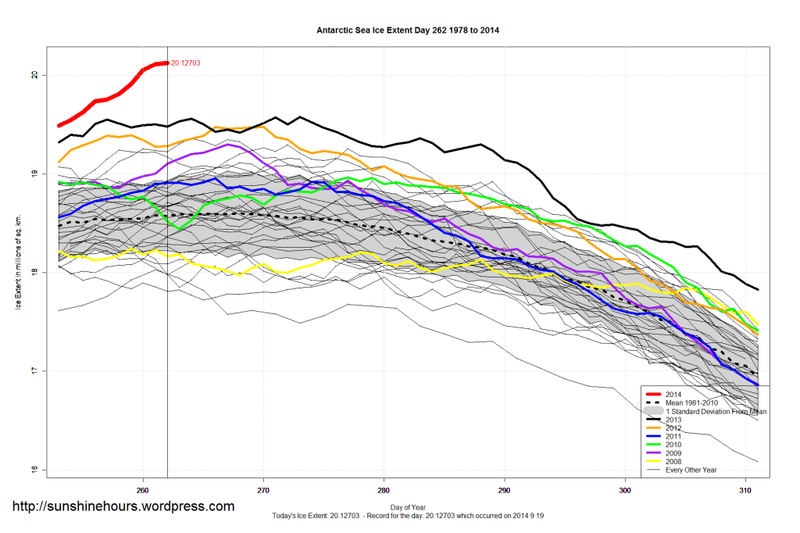 Posted on September 20, 2014 September 20, 2014 Categories climate, energy, Obama, politicsTags Antarctic sea ice, Antarctica, Climate change, Global Warming, ice cover, ice records, NASA, ObamaLeave a comment on Eighth day in a row for absolute ice records in Antarctica!! Peregruzka? Russia triples the fee to ferry astronauts. A trip down memory lane from Geneva March 2009. 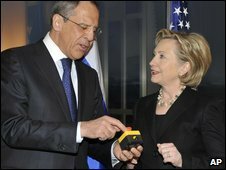 Secretary of State Hillary Clinton opened her first extended talks with Russian Foreign Minister Sergei Lavrov by giving him a present meant to symbolize the Obama administration’s vow to “press the reset button” on U.S.-Russia relations. “We won’t let you do that to us,” she said. Since Obama made it NASA’s highest priority to promote the contributions of Islam to science and the scrapping of the space shuttle program with no replacements in sight we are totally dependent on Russia to ferry our astronaut scientists to and from the space station. Maybe Hillary really meant “Overcharge” instead of reset? Obama seems to love to give money to our adversaries instead of caring about our economy at home. 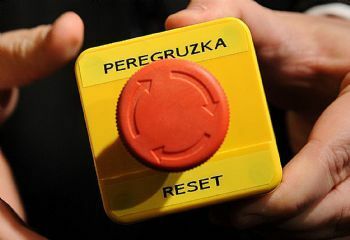 Posted on August 23, 2013 August 23, 2013 Categories Obama, politics, scienceTags Hillary Clinton, Islam, NASA, Obama, RussiaLeave a comment on Peregruzka? Russia triples the fee to ferry astronauts. We can no longer go to the Moon. China will! A Limerick. Too bad as a nation we no longer can. We are in retreat with no sensible plan. A Chinese official kicked off an international robotics conference in Shanghai by confirming China plans to send a robot to the moon within two years and aims to bring a lunar sample home by 2017. 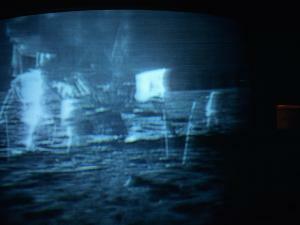 Posted on February 8, 2012 February 8, 2012 Categories limerick, scienceTags Limericks, NASA, science, Space ProgramLeave a comment on We can no longer go to the Moon. China will! A Limerick. 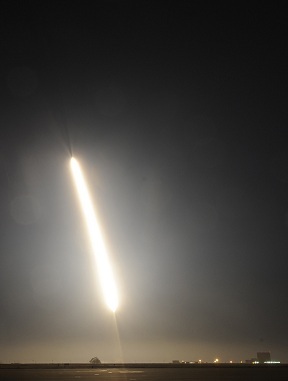 NASA’s Glory Satellite failed a second time. A Climate challenge. No measuring aerosols forming offshore. to say GAIA is stable? The jury’s still out for the swindler Al Gore. Posted on January 31, 2012 January 31, 2012 Categories climate, environment, limerick, PoliticsTags Aerosols, Al Gore, climate challenge, Global Climate Disruption, Global Warming, Limericks, NASALeave a comment on NASA’s Glory Satellite failed a second time. A Climate challenge. Obama orders Nasa: Promote Islam. The Limerick. But not so the cross. It is our great loss. He’s extinguishing light. Well, at least incandescent. Posted on January 26, 2012 January 26, 2012 Categories limerick, Obama, Politics, scienceTags Christianity, Islam, Limericks, NASA, Obama, politics, scienceLeave a comment on Obama orders Nasa: Promote Islam. The Limerick.